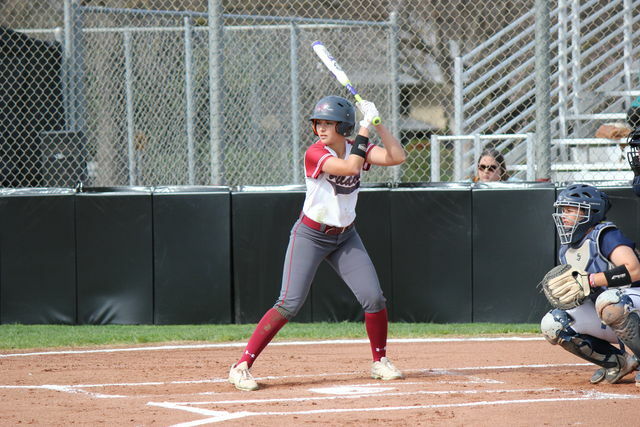 The Chico State softball team brought its brooms to sweep the 17th ranked UC San Diego Tritons on the road in the first of four games on Friday, Feb. 26. 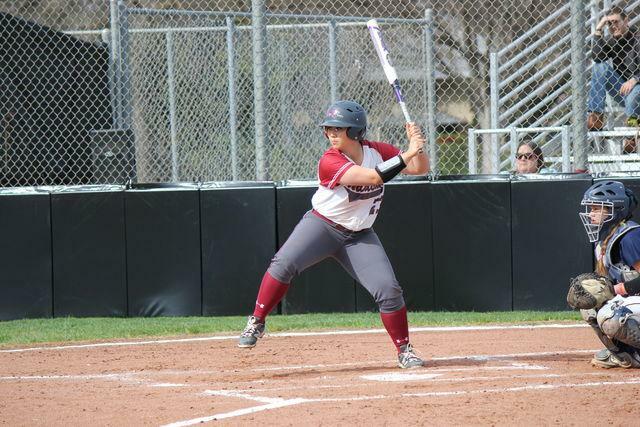 The Wildcats held the conference’s top-hitting team to just five hits on the day as they beat the Tritons 4-1 and 2-1. 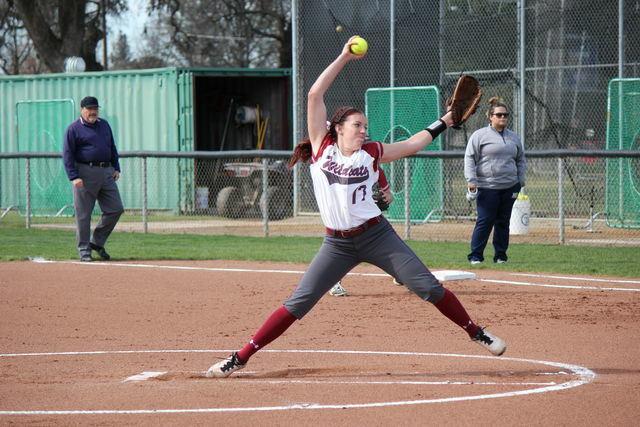 With strong performances by senior starting pitcher Brooke Langeloh, who came within an out of a no-hitter, and senior designated hitter Desiree’ Gonzalez, the Wildcats were able to win both games and improve their overall record to 9-5 and 6-4 in conference play. Since the first inning it looked like the Wildcats’ starting pitcher Brooke Langeloh would have a good day on the mound when she struck out the side to begin the game. Langeloh kept the Tritons quiet and although she did run into some trouble in the bottom of the fifth inning, she was able to work out of the jam and kept her no-hitter bid going into the sixth inning. In the seventh, it looked like Langeloh would get her no-hitter after the first two batters popped up and with only one batter to face the game, the no-hit bid was there for the taking. Langeloh’s no-hit bid was broken by the Tritons’ Emily Sklencar who singled with two outs. She was brought home by McKenna Blewett who followed up with a double to left center field. With the no-hitter gone, Langeloh still finished the game and struck out Erin Lipelt for the final out of the game. The Wildcats won 4-1 thanks to Langeloh, first-year Ari Marsh, junior Cyrena Taylor and Gonzalez. Marsh had two RBIs in the game while Taylor and Gonzalez had one apiece. 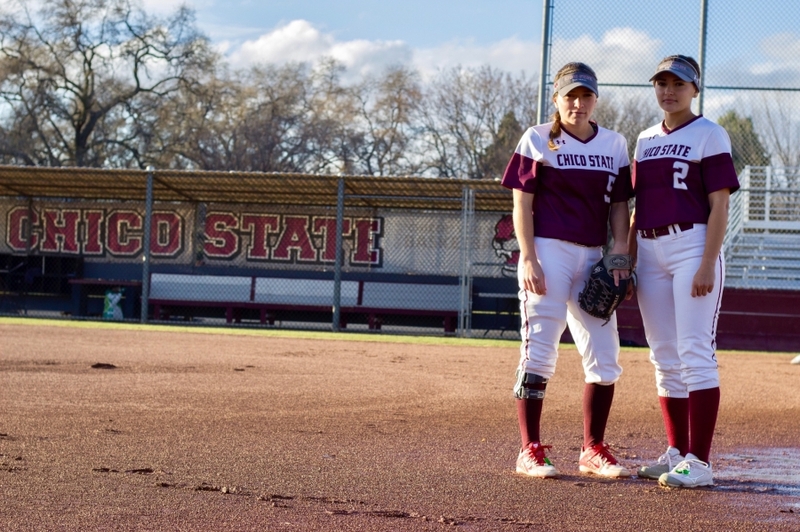 The second game was much different from the first as both starting pitchers had good games, but it was the Wildcats’ Gonzalez who made the difference and ultimately gave Chico State the win. 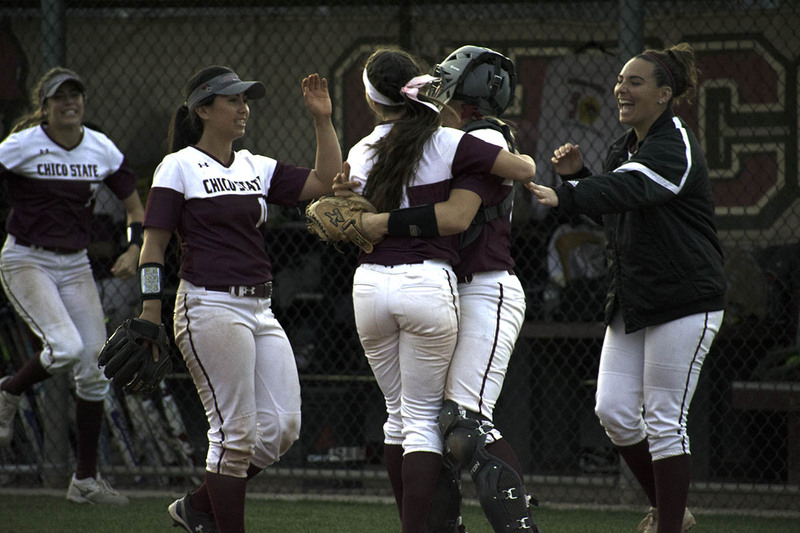 Gonzalez first came up big in the top of the fifth inning when her ground out tied the game up at one. First-year infielder Rachel DeHart doubled to start the inning. She was moved to third by senior outfielder Alli Cook’s bunt single, who later stole second base in the inning. Senior catcher Brynn Lesovsky walked to load the bases to set the stage for Gonzalez. During the top of the seventh inning Gonzalez once again came up big for the Wildcats as her second RBI ground out gave the ‘Cats the lead and eventually the win. The Wildcats’ next game will be a doubleheader against UC San Diego on the road on Saturday, Feb. 27.